The family of areas and people that are supporting the protection of European Wilderness is steadily growing. Wilderness cooperation becomes a critically important element, especially for the members of the European Wilderness Network. The European Wilderness Network is a tool to show that Wilderness is an important part of European identity. It links managers and all other people involved and interested to learn, experience and protect European Wilderness. The network is continuously growing and so the number of people supporting European Wilderness. Vlado Vancura Deputy Chairman European Wilderness Society. 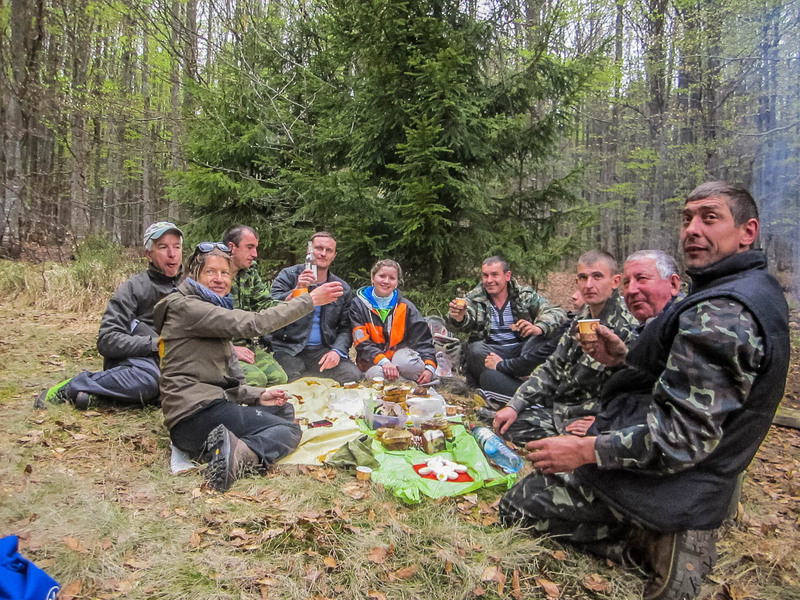 The European Wilderness Society has signed together with Podyjí Wilderness (Czech Republic) a Memorandum of Understanding and with Čepkeliai Wilderness (Lithuania) a Wilderness Partnership Agreements. We officially welcome these and several members to the European Wilderness Network! Memorandum of Understanding and Wilderness Partnership Agreements is tool to set a framework of the cooperation between managers of the Wilderness and European Wilderness Society. It is not only define conditions of mutual cooperation but also set clear conditions of Wilderness cooperation. Max A. E. Rossberg, Chairman European Wilderness Society. Why the European Wilderness Network? There are a number of reasons why the European Wilderness Network is a great tool to support your Wilderness area. With the signing of these documents, we create a clear scheme and list of targets. It explains and agrees on conditions of the cooperation and support offered by the European Wilderness Society. The support is focusing on the stewardship of Wilderness or WILDForest, WILDIsland, WILDCoast and WILDRivers. This process includes also discussion and agreement to expand Wilderness in the future, to carry out an International Quick-Audit and Full-Audit. Where relevant, we also motivate partners to invite neighbouring partners to create a Transboundary Wilderness together. The support offered by the European Wilderness Society includes the European Wilderness Network marketing tool box. The box includes among others: European Wilderness Quality Audit Guide, European Wilderness Network Flag, engraved Door sign, our Newsletter, the Journal and other marketing material especially for the Network members. Next to goodies, each European Wilderness Network member will also be visited by the European Wilderness Society team. During these visits we will support the partner in identifying the Wilderness’ strengths, weaknesses, opportunities and threats, using the standards of the European Wilderness Quality Standard Audit System. Should shortcomings be found the European Wilderness Society will develop conjointly with the Network Partner an action plan. This includes workshops and meetings to help and overcome these shortcomings. These workshops and consulting are free of charge to all Network Partners. Nabu Austria Press-conference: Give the Wolf a chance!